Distributed By – Starday-King Records, Inc. Catalog number printed on the jacket: "KSD 1062". Catalog number printed on the labels: "KS-1062". This must be one of the best James Brown collaborations he ever did, Marva really puts her heart and soul into this recording, The whole album is great, not a dull moment. 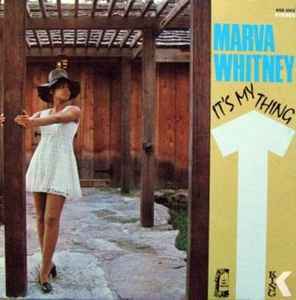 This one album almost makes Marva's career so if became the standard that set The James Brown Funky People. Its a shame she did not record more sides in her heyday then started recording in her later years especially in Japan. one of the best sister funk LP's ever made.